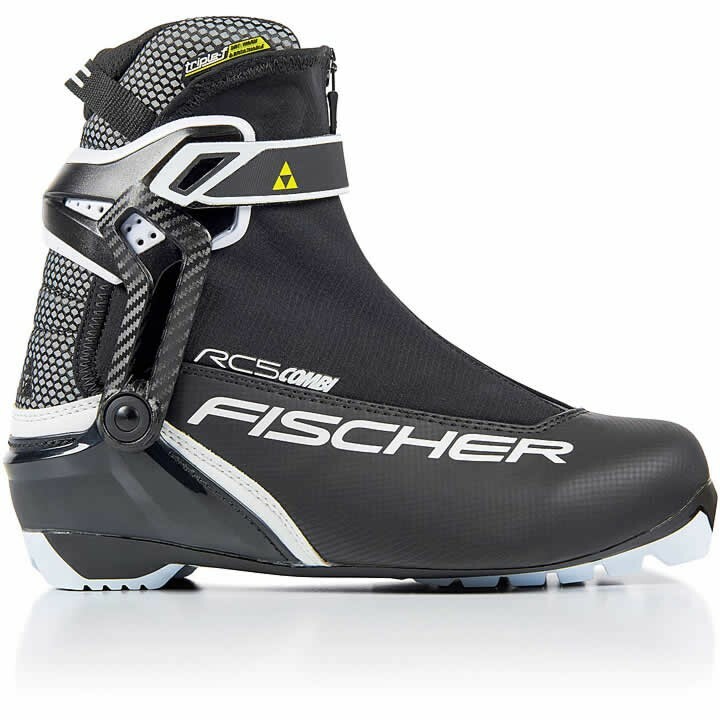 Athletic, comfortable, and lightweight - the Fischer RC5 Combi Boot is ideal for skiers who are flexible in technique. Easy entry loop makes it quick and easy to put on. Breathable Triple-F membrane ensures feet stay warm and dry. Fischer Speed Lock: Revolutionary quick lock with minimum size and weight. Simply pull the laces tight. The system is safe and reliable. Hinged Polymer Cuff: Ergonomic molded cuff for remarkable side hold with good freedom of movement to the front and back. Easy to adjust with Velcro fastener. Lace Cover: For additional protection against the snow and wet conditions and to give you a comfortable warm feeling.